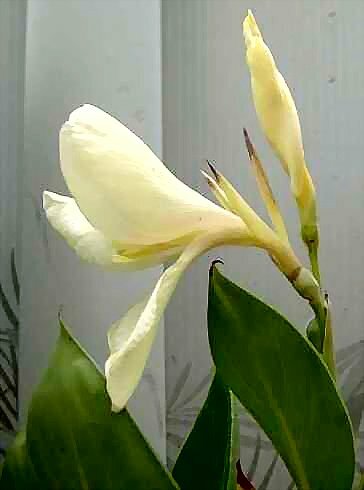 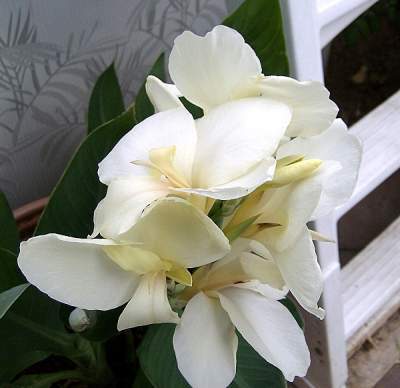 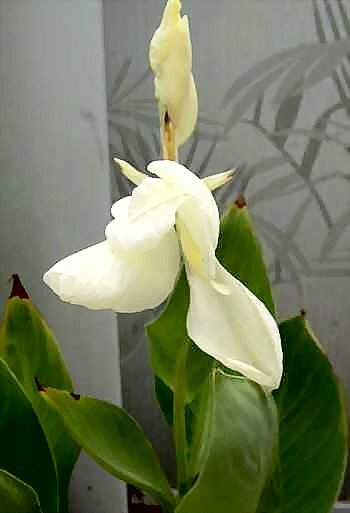 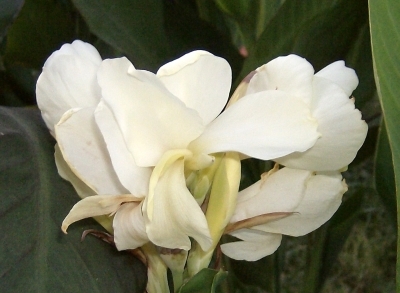 Ermine is such a delight as a potted canna. 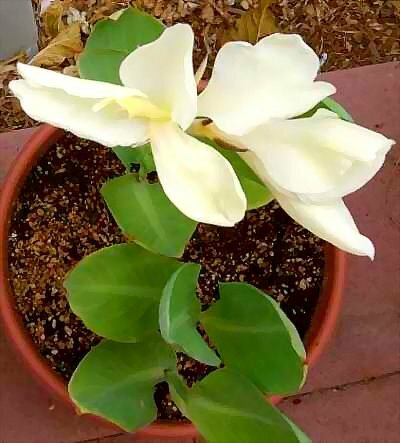 It always has a choice location on my patio. 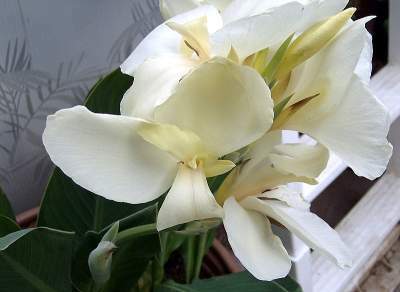 I think it does better if you can leave it in a pot over the winter because the rhizomes are hideously tiny. 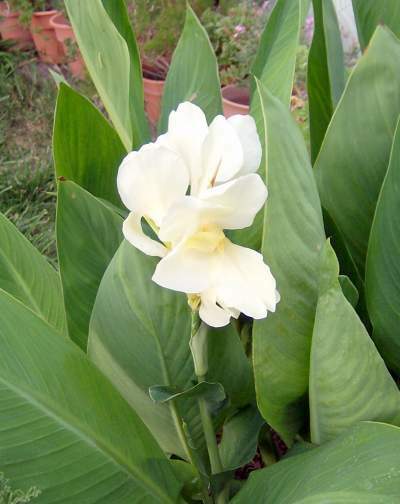 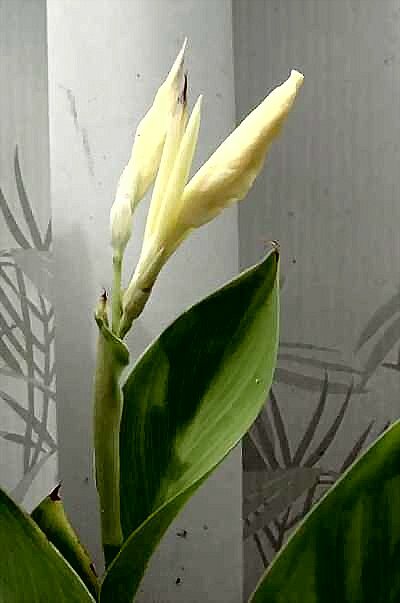 Ermine is a dwarf canna about 2 - 2 1/2 feet tall. 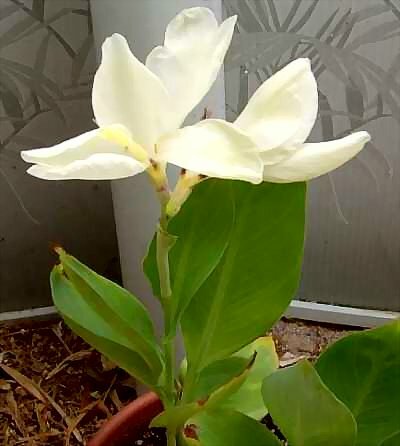 Recently I divided my Ermine. 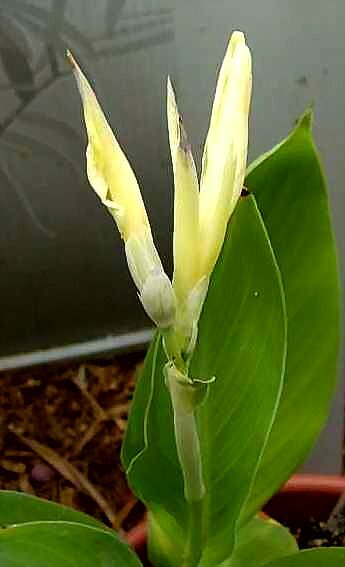 Imagine my horror when the whole batch went down with transplant shock! 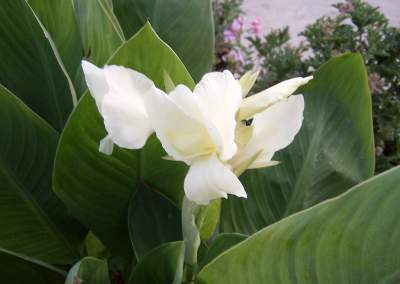 I guess with the small rhizomes, the divisions couldn't sail through the process as well as cannas with beefier rhizomes. 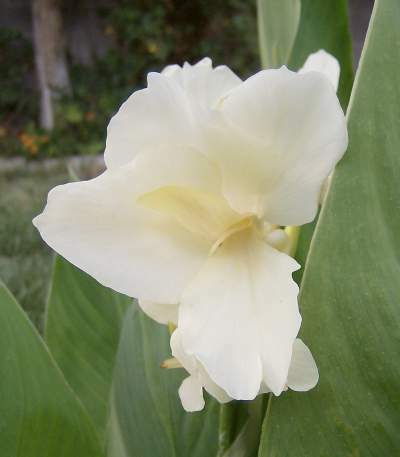 Canna 'Ermine' creates large, sumptuous flower heads in the fall.